"Located south of the Whirlpool Galaxy in the sky, NGC 5198 is a seemingly ordinary elliptical galaxy that was discovered in 1787 by William Herschel. Deep images however reveal a recently discovered tidal tail in addition to an outer tidal shell. 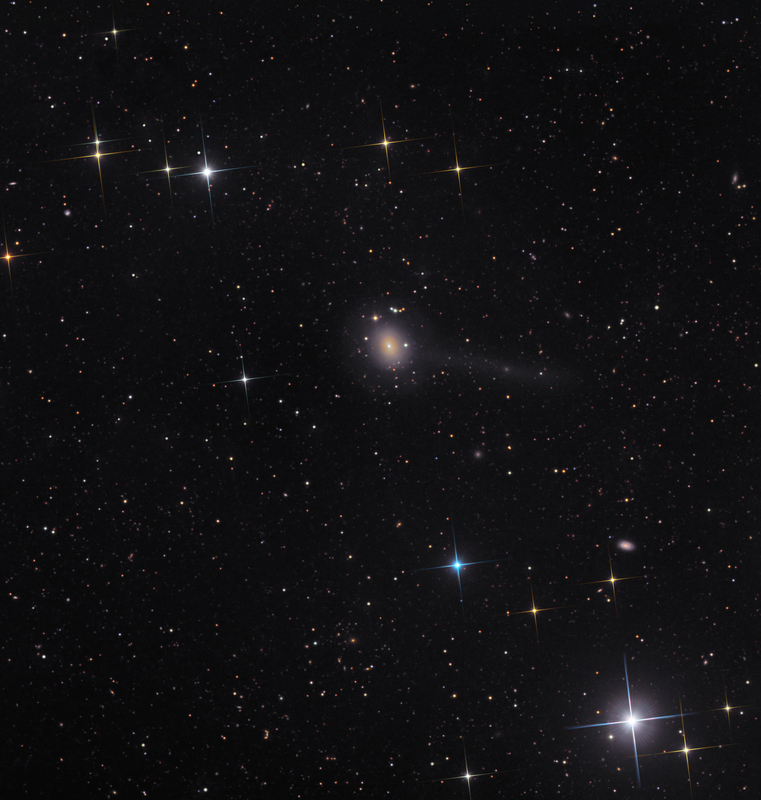 The length of the tidal tail is approximately 300,000 light years and is the remains of a small galaxy that has been absorbed by NGC 5198. The linear nature of the tidal tail is indicative of a recent collision with a previous companion or satellite galaxy, which has been tidally disrupted by the larger galaxy."